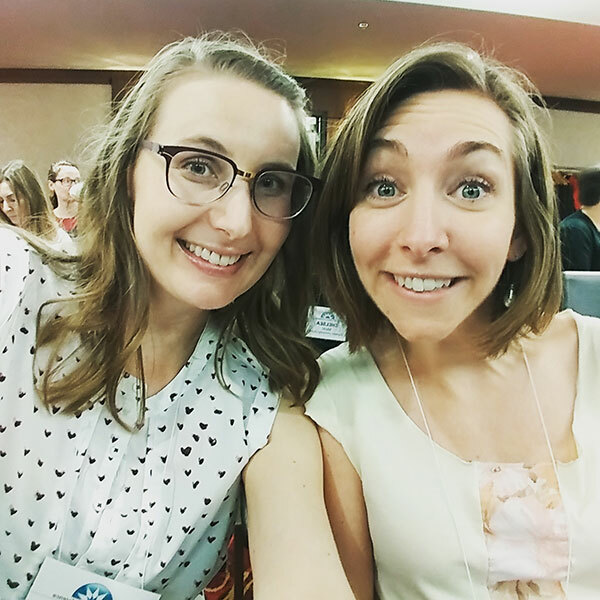 Awhile back our friend Bryce asked us to create a Summer Hype Video for her lovely staff at the Washington County Cooperative Library Services. You know, something to help them get through the dog days of summer (reading). We were more than happy to oblige! 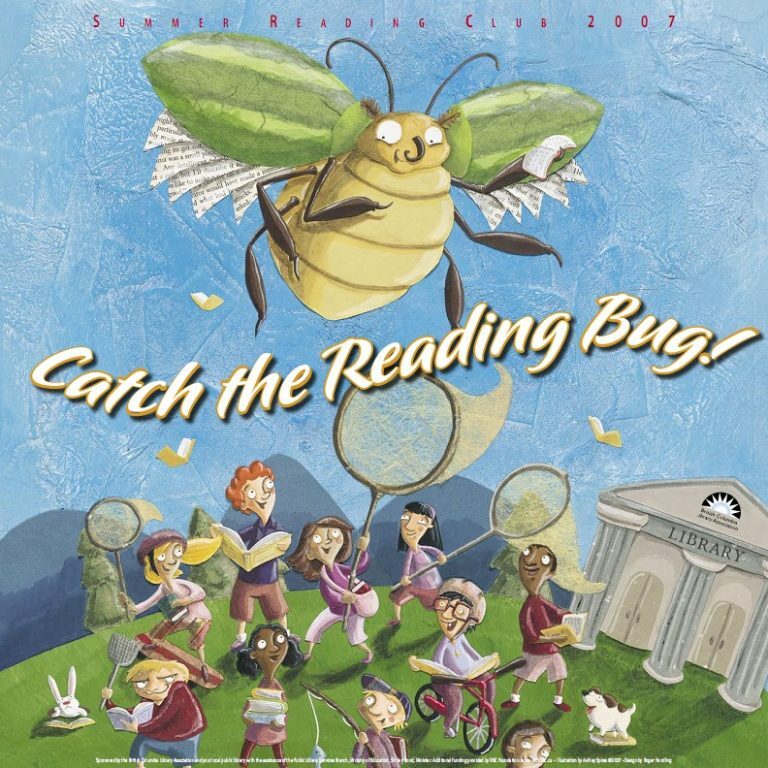 In true Jbrary style, we wrote this song that ties in to the Summer Reading theme many American libraries chose: On Your Mark, Get Set, Read! This video is dedicate to the library folks at WCCLS, but also to anyone who needs a little pick-me-up this summer. And with some tweaking of the lyrics, you could easily adapt this song for a summer storytime! We highly recommend keeping an eye on Bryce’s round-up post to see all of the motivational videos our blogger friends created. If there is one thing we can say for sure, it’s what a wonderful community of youth services folks we belong to. Not get ready, set, read! 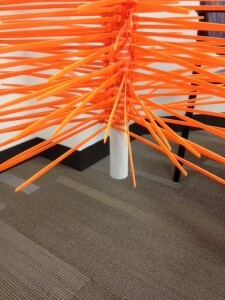 Summer Reading Club 2015: Build It! 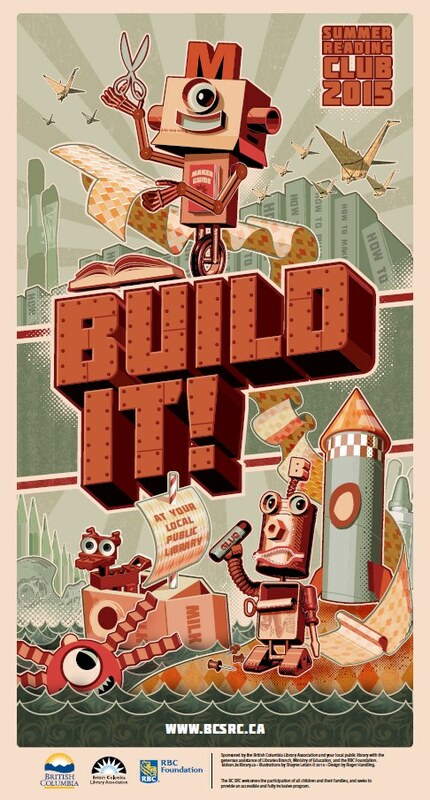 Our Summer Reading Club theme this year is Build It and we could not be more excited! A little tired and stressed yes, but mainly excited. What will we be building, creating and imagining? 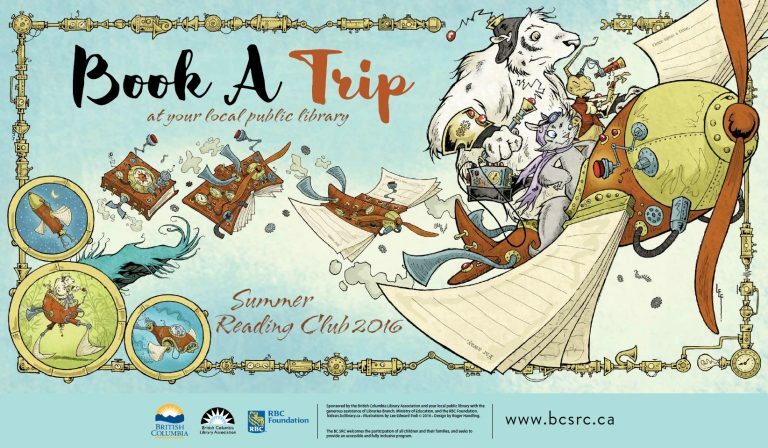 What does Summer Reading Club look like around Vancouver? We’re glad you asked! 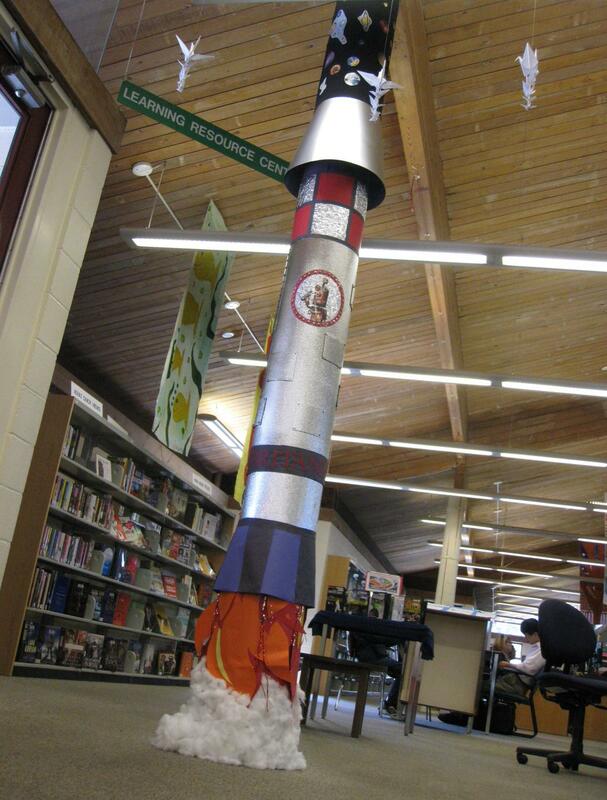 SRC rocket made by staff at the Britannia Branch of the Vancouver Public Library! Angela Reynolds (aka our F/Hairy Godmother) has been busy at work on this Build! Pinterest board which is full of awesome ideas. This was a Lindsey-and-Dana-over-sushi original. 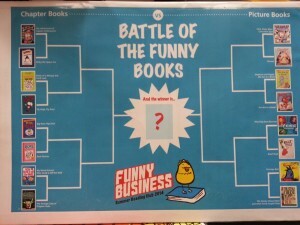 Coming off of last year’s Battle of the Funny Books which Lindsey developed we knew our system wide book battle had to measure up. Feeling restrained by our theme we were worried that simply gathering building books wouldn’t have the same spark. 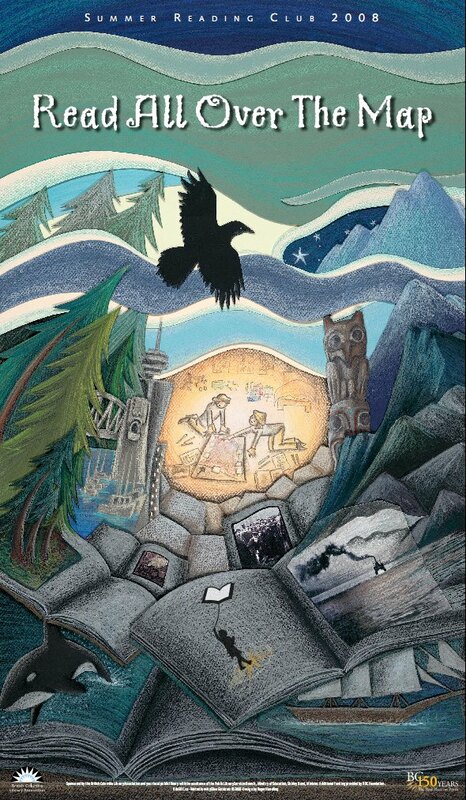 So, we decided that we wouldn’t vote for whole books but elements of a story instead such that Vancouver kids would Build a Story! Ta-da! Starting next week kids will vote (from lists we’ve created) for their favourite character, then their favourite villain, favourite setting and finally their choice ending. With these elements chosen it turns into a writing/drawing/graphic novel’ing contest where kids submit a story and stand to win a prize or have their work added to our collection. Feel free to check out our library’s website and stay tuned for more details! There are lots of neat things going on this summer but a few we’re reeeeally pumped about. We’ve been reading about Family Fort Nights (thanks Amy and Laura) long enough to know that they’re pure awesome so when I found out our theme I swore I’d make it happen and lo and behold I will hold an after-hours Family Fort Night at my (new!) branch next week. Here’s how I’m hoping it goes: we will close the branch down and reopen for an hour on Friday night to families and kids only. 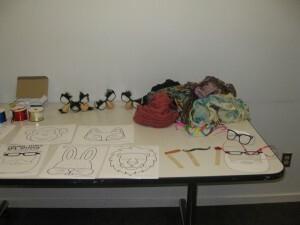 Each group will choose a story to read, grab fort supplies and start building. My co-worker has a night light and sound machine which I cannot wait to try! 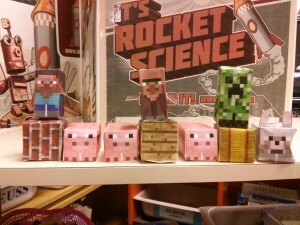 Paper Minecraft, meet the Three Little Pigs! 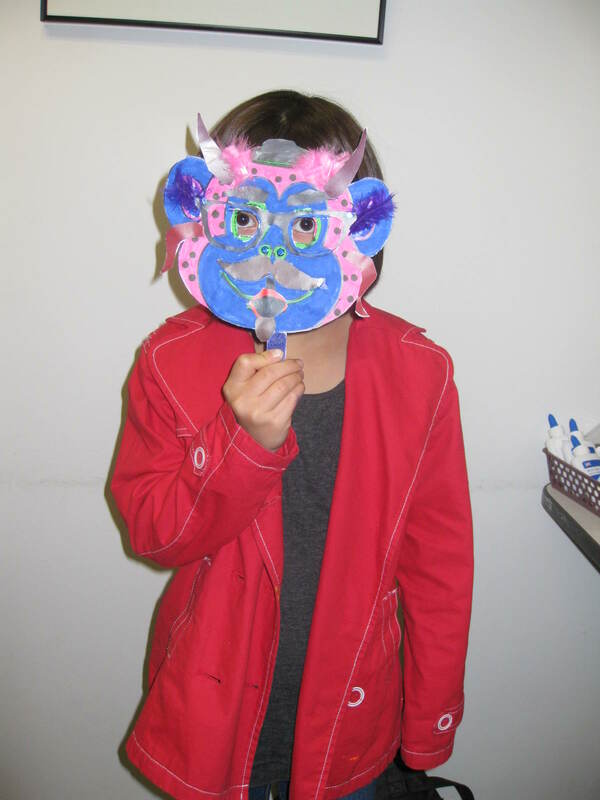 Kids listen to contemporary versions of this favourite story, cut out and glue paper Minecraft pigs and wolves, and work together to build the pigs’ houses. Will the creeper come to help the wolf? The kids have been going nuts over this one! 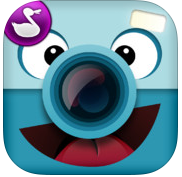 We’re going to create spectacular short films using Lego, iPads and a stop animation app. Kids will work in a team to build a great story and then strategically set up their Lego pieces to create a fantastic film. We’re providing the iPads. We are proud to say these are just a brief smattering of the programs we’ll be involved with this summer. Please let us know what you’ll be getting up to in the comments below! 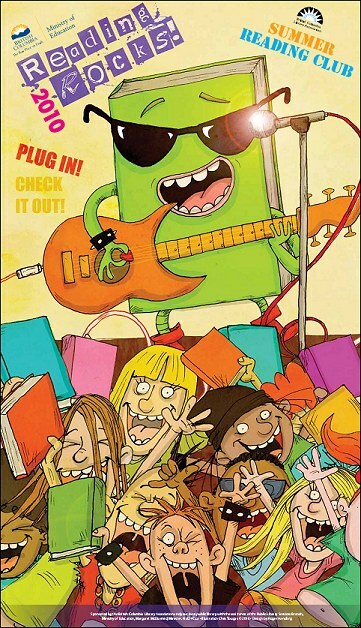 Whether you prefer the hashtag #SRC or #SRP, children’s librarians across the world have been sweating over how to make reading over the summer fun for everyone. We wanted to throw together a quick post to show off some of the awesome we’re surrounded by and to say a huge congratulations to everyone for all the hard work! Our summer was full of Funny Business like An Afternoon of Disguise, Battle of the Funny Books and Silly Songs Dance Party and we’ve been reading all about the Fizzing, Booming and Reading going on from our neighbours down south. During a presentation at ALA Annual in Vegas called What No Tchotskes? 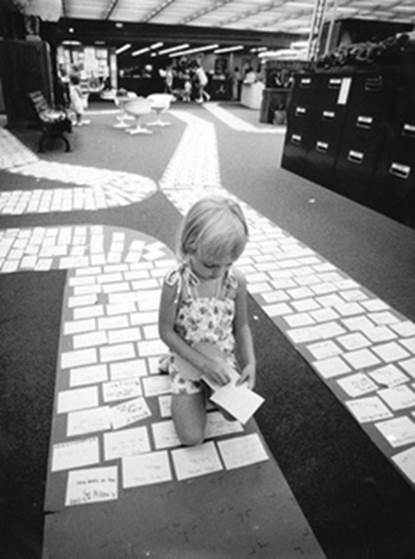 Creating an Experience Based Summer Program I was captured by Amber Creger’s images of ways in which she helped make the reading her young patrons did VISIBLE! 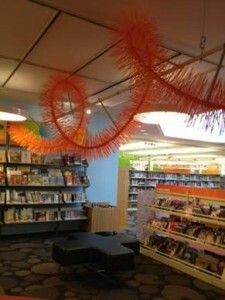 As Arlington Heights Memorial Library (where Amber runs the Kids’ World!) moves away from incentive based Summer Reading, these hands-on displays celebrate reading or challenges completed and contribute to the larger community of library users. Check out the old school Reading Brick Road she shared too! Luggage ties equal each challenge completed! 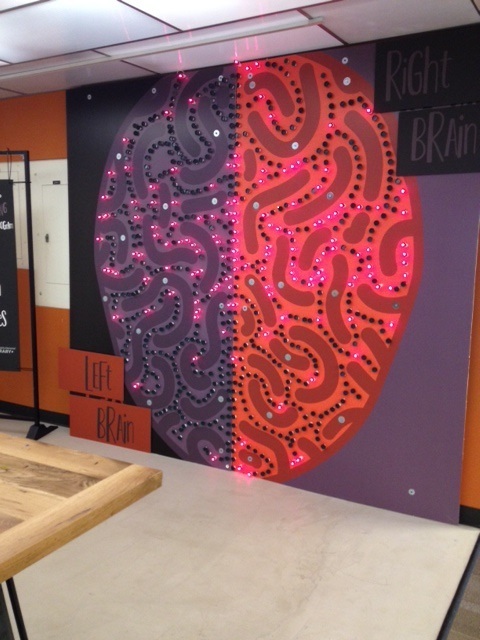 Finally, the super cool teen light board! 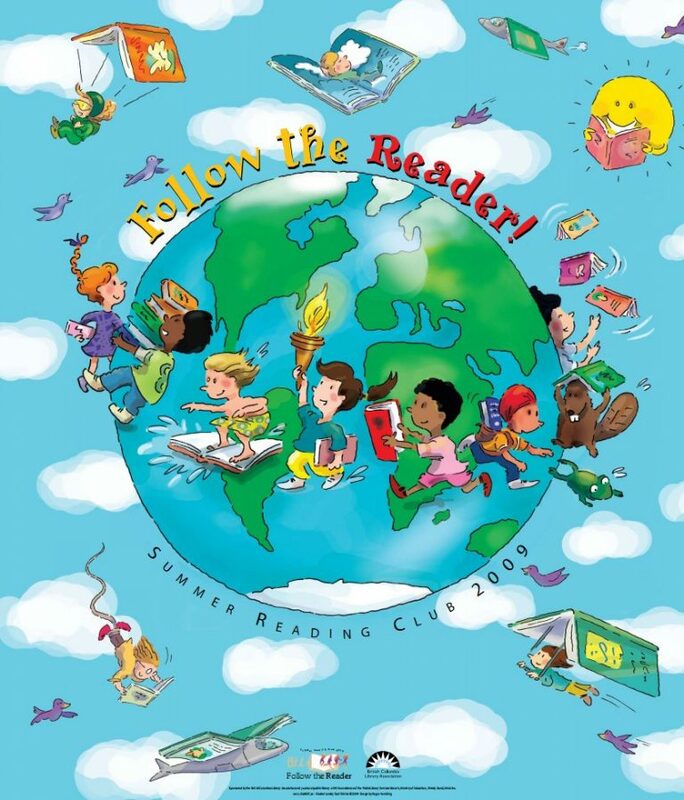 As someone fairly new to school-age programming I am really enjoying the opportunity the Summer Reading Club presents to learn from my colleagues (near and far!) and try a few things out on my own. 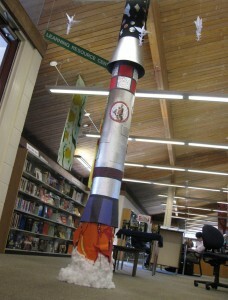 Last week I put on a Battle of the Funny Books program to kick off the Summer Reading Club at my branch and had a blast! A bit of background before we get started: as Lindsey shared last week, here in British Columbia our Summer Reading Club theme is Funny Business. With this theme in mind Lindsey and another colleague participated in a webinar put on by the fabulous Lisa Shaia of Thrive Thursday and Thrive After Three called “12 Months of Children’s Programming: Grades K through 6.” One of the programs which Lisa and Joanne talked about was Battle of the Books which is a bracket style competition where books battle for kids’ votes in multiple rounds resulting in one final winner. Rebecca Zarazan Dunn has been running a similar style tournament complete with tall ball players for a couple years now with much success. 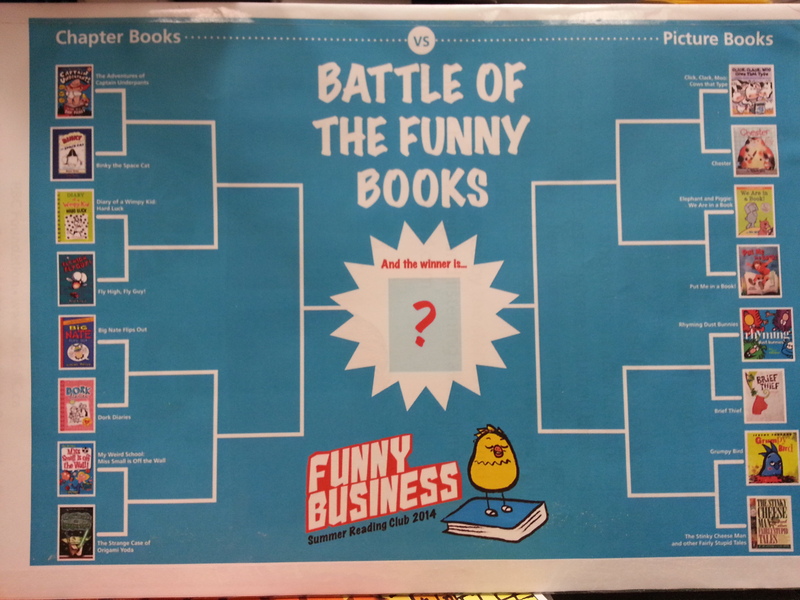 As a result of all this, Lindsey and our colleague Alicia thought it was high time for Vancouver to try our own Battle of the Funny Books! 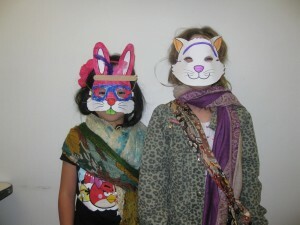 Here in British Columbia, our Summer Reading Club theme this year is Funny Business. 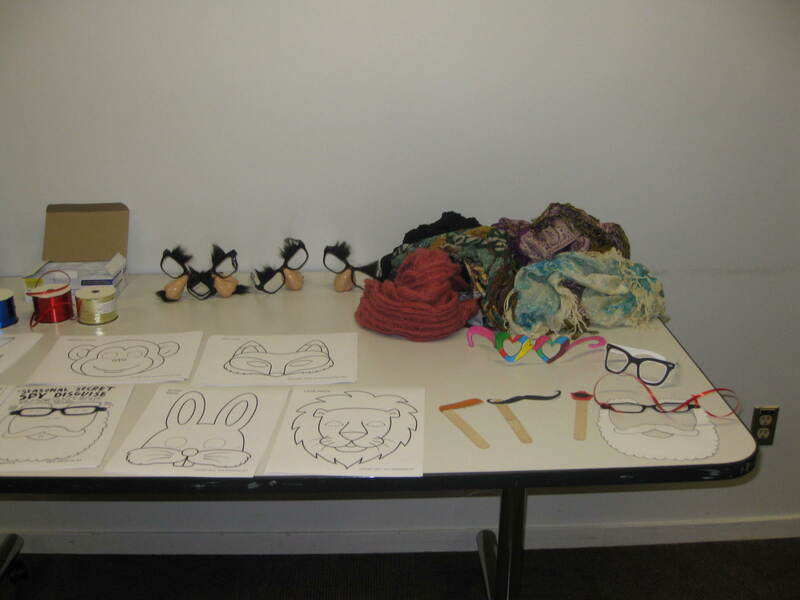 For our launch party, I decided to hold an Afternoon of Disguise where kids could create a mask or play dress up using some costume supplies. The tag line of the event was, “There’s something funny going on here!” which is one of the sub-themes of Funny Business. 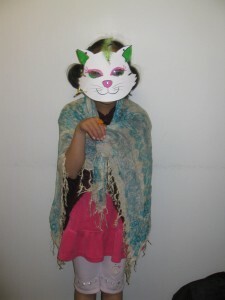 This was a drop-in program – kids could come anytime and create as many disguises as they wanted. I took pictures of the kids once they were unidentifiable and plan to put them up around the branch. 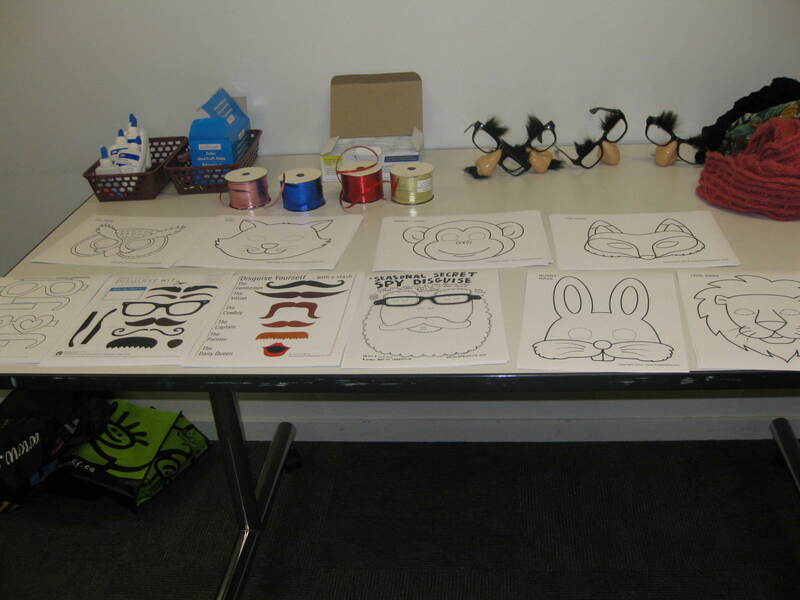 I also had a display with an array of non-fiction books – craft books, spy books, and lots of disguise books such as Animal Disguises and Buildings in Disguise. 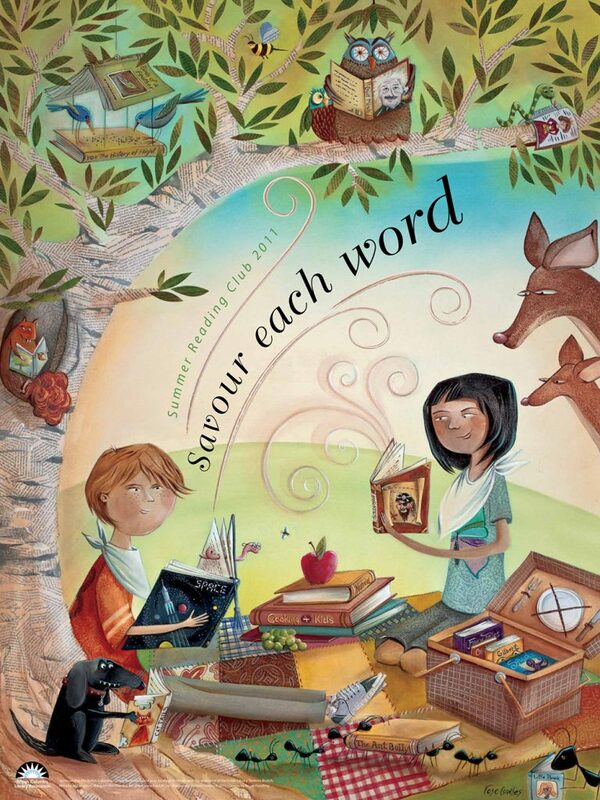 We’re always trying to tie in a literacy component and promote our collection! I printed about 20 each on bond paper. Card stock would also work. 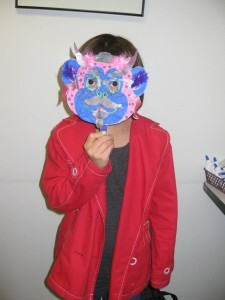 The best part about this program was how much fun the kids had – so much laughter and giggling. Lots of parents hung around to take pictures too. 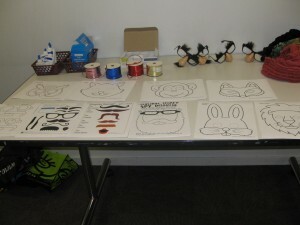 Here’s what we got up to!